Seriously. My best dentist visit in a very long time. Very nice practice. Great people and exceptional service! Wonderful experience; everyone provided excellent service. Thank you. A very thorough cleaning by the hygienist-shows great interest in my dental health. 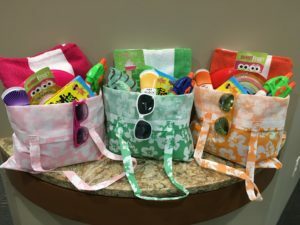 VIP patients who visit us in the 2nd Quarter will be entered to win one of these 12 fabulous beach bags! Ask us how to be a VIP! Stop by or call (804) 897-2900 for details! Join us in supporting Home Again! We will be collecting donations through the end of 2019. Please bring a donation at your next visit or stop by anytime and say Hi. Some of the things they ask for are NEW pillows, NEW twin sheets, NEW bath towels and wash cloths, household cleaning supplies, kitchen and cooking supplies, and school and craft supplies. Randazzo Dentistry is a premier dental facility located in Midlothian, VA.
No Dental Insurance? Ask about our in office dental plan! Visit us in our beautiful spa like facility to experience a dental office so relaxing you will not want to leave.